We're in the middle of Fiat Chrysler's announcement of their five-year plan, and while it isn't being broadcast online, some of the slides from the presentation are already up. Among the big news: a long awaited Dodge Dart SRT is coming. Finally! This chart indicates an all-new Dart is coming in 2016, and it will come with the high-powered SRT version we have always wanted. Even better news: it will be all-wheel drive and turbocharged, according to sources at the announcement. 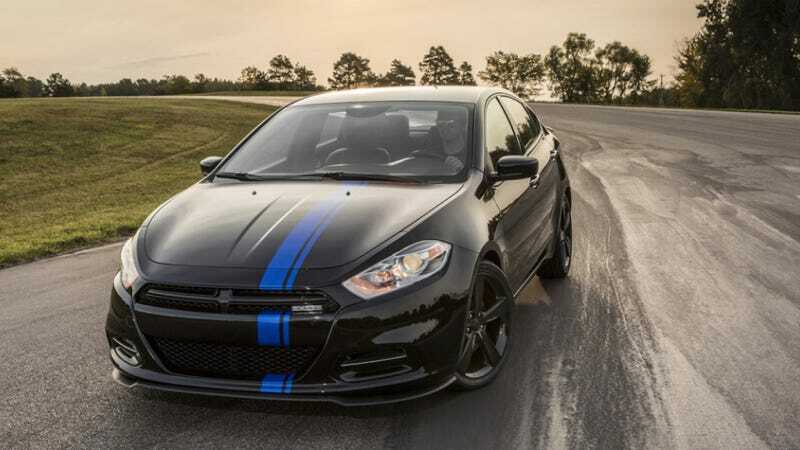 Is the Dart SRT poised to become America's WRX? We'll see in two years.